Reported Missile Launch Is Early Test For Trump Administration's Approach To Iran : The Two-Way Since the 2015 international agreement to curb Iran's nuclear capabilities in exchange for lifting some sanctions, the U.S. and Iran have argued over what exactly it says about ballistic missiles. Missiles on display in northern Tehran in 2014. A reported missile test by Iran on Sunday has led some American officials to accuse the country of violating a U.N. resolution that accompanied the 2015 nuclear deal. U.S. officials say Iran test-fired a ballistic missile on Sunday, the first known test since President Trump took office — which could provide an early assessment of how the new administration will interpret and enforce the terms of the international deal to curb Iran's nuclear weapons capabilities. In a statement to the media on Monday, Iran's foreign minister insisted that Iran's missile program is not part of the nuclear agreement, even as he declined to confirm or deny the missile test. NPR's Peter Kenyon reported that Foreign Minister Mohammad Javad Zarif said the missile program is purely defensive. Sen. Bob Corker, R-Tenn., the chairman of the Senate Foreign Relations Committee, released a statement calling the test a violation of a U.N. Security Council resolution passed as a side agreement to the 2015 nuclear deal. The statement did not provide any additional information on the reported test, instead linking to a Fox News article quoting unnamed U.S. officials. White House press secretary Sean Spicer said Monday that he did not know the "exact nature" of the test, including the type of missile used. Members of the Security Council met to discuss the missile launch on Tuesday afternoon, NPR's Michele Kelemen reported. U.S. Ambassador to the U.N. Nikki Haley told reporters that the Trump administration had confirmed that Iran launched a medium-size missile on Sunday, calling it "completely unacceptable." "What I told the rest of the Security Council members is we are only as good as if we enforce what happens," Haley said. The nuclear deal between Iran and six countries, including the U.S., was reached in July 2015 and required Iran to scale back its nuclear program in exchange for the lifting of economic sanctions. The specific issue of ballistic missile tests came up during the nuclear negotiations. A U.N. Security Council resolution in 2010 had expressly prohibited Iran from "any activity related to ballistic missiles capable of delivering nuclear weapons, including launches." In the final days before the nuclear deal was reached, the biggest remaining obstacle was Iran's desire to have U.N. weapons and missile sanctions rolled back, as The Two-Way reported. Then-Secretary of State John Kerry eventually agreed to a missile-specific side agreement to the nuclear accord. In place of an outright prohibition on missile tests, the agreement stated that Iran was "called upon not to undertake any activity related to ballistic missiles designed to be capable of delivering nuclear weapons, including launches using such ballistic missile technology." "Controversy and concerns over issues outside the nuclear accord, mainly Iran's growing regional posture and ballistic-missile tests, have often overshadowed that the [nuclear accord's] two key components — restricting and rigorously monitoring Iran's nuclear program and sanctions relief — are working and delivering concrete results." Acting State Department spokesman Mark Toner told The Associated Press on Monday that the U.S. was looking into whether Sunday's reported missile test violated the side agreement, and that the U.S. would "hold Iran accountable" if it did. The disagreement about what is and isn't allowed under the agreement cuts both ways. 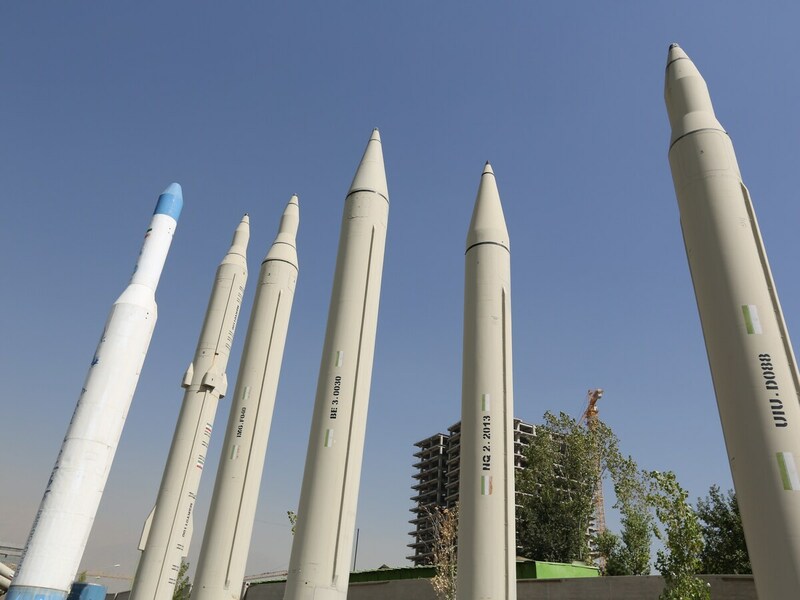 After the nuclear deal lifted many sanctions on Iran last year, the U.S. government imposed new sanctions specifically targeting the country's ballistic missile program, as we reported. "Iran and the U.S. disagree over whether such penalties violate the nuclear accord," NPR's Camila Domonoske reported at the time. Iranian officials warned the U.S. that financial penalties would be viewed by Iran's leader as a violation of the nuclear deal, but U.S. officials contended that nonnuclear-missile-program sanctions fell outside the accord. President Trump has attacked the nuclear deal. Addressing the pro-Israel group AIPAC in March during the presidential campaign, he said, "My No. 1 priority is to dismantle the disastrous deal with Iran." Later, however, Trump advocated for renegotiating some parts of the deal or treating it as he would a bad business contract, "policing that contract so tough that they don't have a chance," Peter Kenyon reported last fall.